"Why, when we take such care to disguise our true selves from others, would we expect them to be an open book to us?" Harry Steen, a businessman travelling in Mexico, ducks into an old bookstore to escape a frightening deluge. Inside, he makes a serendipitous discovery: a mid-nineteenth-century account of a sinister storm cloud that plagued an isolated Scottish village and caused many gruesome and unexplainable deaths. Harry knows the village well; he travelled there as a young man to take up a teaching post following the death of his parents. It was there that he met the woman whose love and betrayal have haunted him every day since. Presented with this astonishing record, Harry resolves to seek out the ghosts of his past and return to the very place where he encountered the fathomless depths of his own heart. 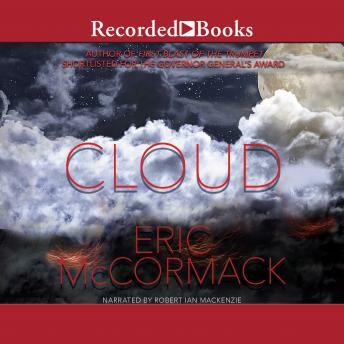 With Cloud, critically acclaimed Canadian author Eric McCormack has written a masterpiece of literary Gothicism, a gripping, darkly imagined story about the nature of love in a world where menace hovers at every turn.